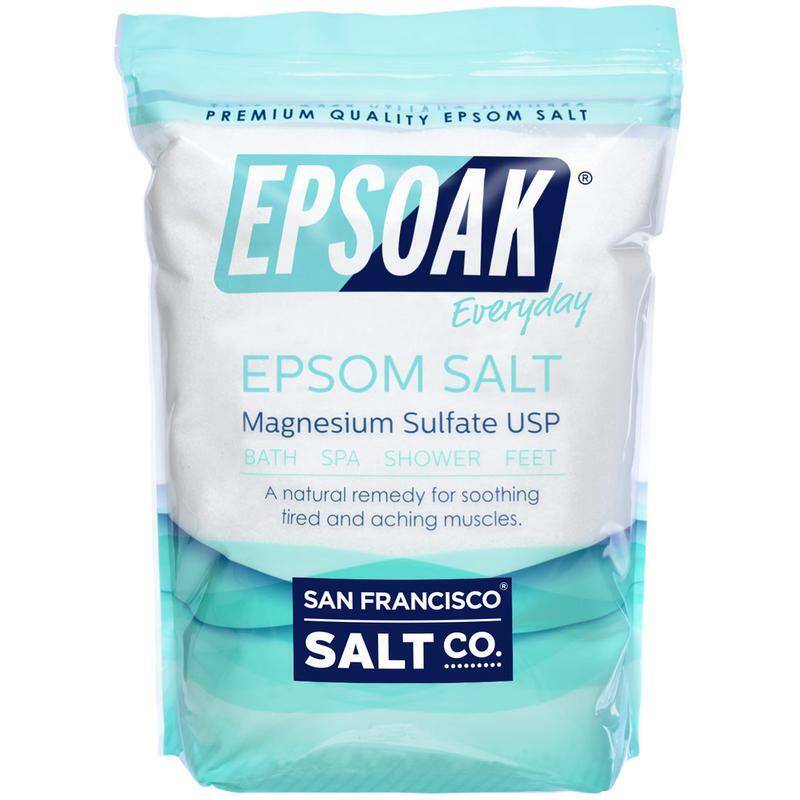 Epsom Salt - Epsoak® - 5lb | San Francisco Salt Co.
Epsom Salt is a pure mineral compound (Magnesium Sulfate) in crystal form. Soaking in an Epsom Salt bath is one of the most effective means of making the magnesium your body needs readily available. 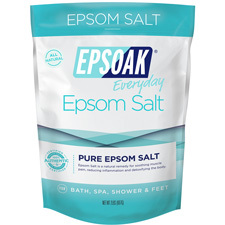 Known for its premium quality and many therapeutic uses, Epsoak Epsom Salt dissolves easily in warm water to help soothe muscle pain, relieve aching feet, cleanse pores, and detoxify the skin. Epsoak is a naturally translucent/white salt in medium grain (0.2-3mm). 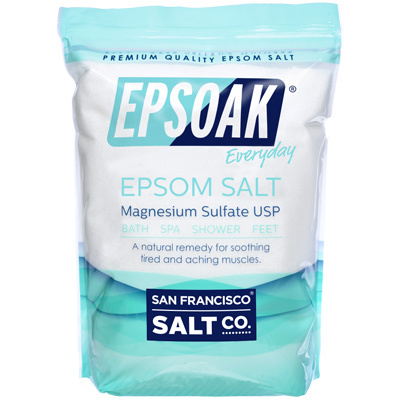 The 2 key ingredients of Epsom salts are Magnesium and Sulfur. Grade USP (United States Pharmacopeia) Grade Epsom Salt. For a relaxing soak - Add two cups of Epsoak® to a hot bath in a standard-sized bathtub; soak for at least 12 minutes. 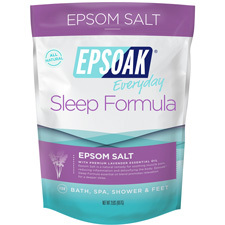 Relieving fatigue - Add four cups of Epsoak® into a warm bath in a standard sized bathtub; soak for at least 15 minutes. Removing dry skin - After bathing and while still wet give yourself a massage with dry salt. It removes dead skin particles and aids the circulation. Body Wrap - Include Epsoak® salts as a layering product in a body wrap. Facial - Mix 1/2 TSP of Epsoak® into cleansing cream for a deep-pore cleansing. Massage on skin. Rinse with cool water. Pat dry.